If your tribe of rugby union supporters includes Waratahs fans, they’re going to love their very own Primary Pro Jersey for kids from our 2019 Waratahs On Field range. Made from 100% Polyester Interlock and with a VapoDri moisture wicking finish, they’ll think they’re part of the team when they run out on the training field. When it comes to Super Union, the Waratahs are legends of the game and Canterbury’s Primary Pro Jersey for kids gives your junior supporters the chance to run out like their heroes. 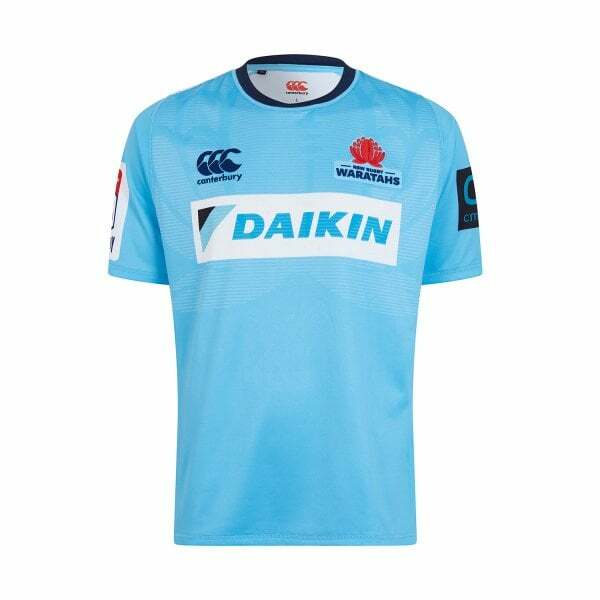 A jersey that closely emulates the team’s actual on field kit, they’ll wear it everywhere, whether they’re training, playing or cheering for the Tahs.